Follow these instructions on how to create a link to your enterprise.ipa file. By doing this, your enterprise app can be installed by simply clicking a link on an iOS device. 1. Place the enterprise.ipa file, found in the .tgz file that you downloaded from the Mag+ Publish portal, on a web server and give it a direct URL. 2. Download the app.plist file attached to the bottom of this article to your machine. 3. Open the app.plist file with a text editor and make the changes specified below. Find “<string>https://www.enterprise_4.0.ipa</string>" and change the URL to the URL of the enterprise.ipa file located on your web server. Find “BUNDLE_ID" and enter the Bundle ID for your app. Find “NAME_OF_APP" and enter the name of your app. 4. Save the app.plist file and upload it to an accessible web server. 5. Create a link as shown below and post it on a web site or email it to the users that you want to download your app. Your link should look like: itms-services://?action=download-manifest&amp;url=https://yourdomainname.com/app.plist. Replace “http://yourdomainname.com/app.plist" with the URL to the app.plist file located on your web server. 1. Find the link created in the steps above (either via email or via a web page). 2. On your iOS device, click on the link or paste it into the URL field of Safari. 3. The app will be installed on the device. The mobile application “BookHA" launched by the Hospital Authority (HA) in March this year has been enhanced to assist patients with referral letters issued by public hospitals and clinics, accounting for 70 per cent of referrals. Beginning in March this year, most of the referral letters issued by the HA carry a 2D barcode which can be scanned with the upgraded function of the app, saving the need for taking photographs of the referral letters page by page. “In the first three months, 371 patients have successfully made an appointment in their chosen Specialist Out-patient Clinic (SOPC) using the app. The operation for SOPCs to triage and process the requests has been smooth during the period and we are able to shorten the notification time of routine cases from 21 days to 14 days from now on," the HA spokesman said. “We are delighted to see that over 60 per cent of the applications have been submitted outside office hours and over 20 per cent during weekends, proving the convenience of using the mobile app for SOPC booking anytime and anywhere." Patients are also reminded that referral letters from registered doctors, private or public, are required for making new case bookings at public SOPCs. Among some 700 bookings submitted via the mobile app in the first three months, 335 cases could not be processed. “While 151 have requested to book appointments in specialties that are not yet available for mobile app booking, 58 applications have been submitted without a valid referral letter," the spokesman said. In view of the large number of attempts to make bookings in specialties other than gynaecology, the HA will expedite the logistical arrangements in different specialties and roll out the mobile app booking arrangement to at least three more specialties this September. “There are around 60 000 new case bookings in gynaecology each year and the extension will likely cover another 250 000 more new case bookings in the respective specialties." “BookHA" can be downloaded free of charge from the Apple App Store (supports iOS version 7.0 or above) or Google Play (supports Android version 4.1 or above) and it is available in traditional Chinese and English. Chinese smartphone manufacturer Xiaomi will purchase approximately 1,500 patents from Microsoft as it looks to expand its portfolio of intellectual property, according to a May 31 report in The Wall Street Journal. In an interview with the Journal, Wang Xiang, Xiaomi’s senior vice president of strategic cooperation, elected not to disclose the value of the transaction, but commented on the company’s goals behind the purchase. “Both Xiaomi and Microsoft respect intellectual-property rights," Wang told the paper. “We believe that with this kind of collaboration and also our commitment for the long-term investment in IP, we are going to build a very strong patent portfolio." As the company attempts to grow marketshare and broaden its reach, Xiaomimust also find ways to differentiate itself from competitors in an increasingly crowded smartphone marketplace. According to a May report from Gartner, Xiaomi claimed 4.3% of the total smartphone marketshare, rounding out the top five worldwide vendors. In fact, during the first quarter of 2016 the company saw sales rise 20% in the Asia-Pacific region. “This is much broader than some of the other partnerships we’ve had," Microsoft corporate vice president Jonathan Tinter told The Journal in a telephone interview, while Jennifer Crider, a spokeswoman in Microsoft’s legal department, noted that Microsoft holds more than 60,000 patents and that the sale to Xiaomi is only a small number in that context. The move also highlights Microsoft’s shift in strategy as it struggles to maintain a mobile presence in a market dominated by Android and Apple devices. Microsoft sealed the fate of its failed Nokia acquisition when it announced plans to cut 1,850 jobs, mostly in Finland, and take on $950 million in restructuring charges, a move that took the company out of the consumer mobile market. There are a few Xiaomi brand products available to consumers in North America, most notably a TV set-top box powered by Google Android, but it may be a while before the company’s smartphones are sold in US stores. “We are taking the necessary steps for launching in the U.S., but for the time being, the focus remains in India," Hugo Barra, Xiaomi’s vice president of international, told The Journal. The two companies have also expanded their global partnership with the announcement that Xiaomi will ship Microsoft Office and Skype on Xiaomi Android smartphones and tablets to customers in India, China, and other markets. 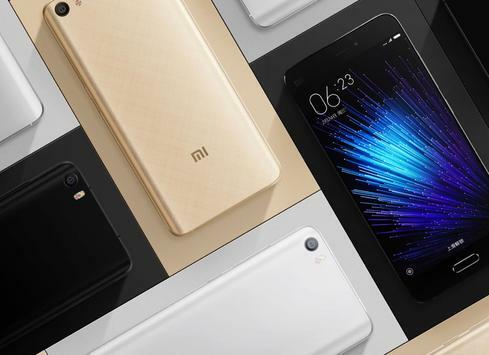 Beginning in September, Xiaomi Android devices, including Mi 5, Mi Max, Mi 4s, Redmi Note 3, and Redmi 3, will come pre-installed with Microsoft Word, Excel, PowerPoint, Outlook, and Skype applications. The agreement builds on the companies’ partnership with Windows 10 on Mi Pad and Microsoft Azure powering the Mi Cloud service. The breakneck pace of smartphone growth in China has slowed precipitous. Year-over-year shipment growth was 62.5%, but by 2015 it had dropped to 2.5% — but the average selling price in the country rose from $207 in 2013 to $257 in 2015, according to an IDC report. Vendors shipped a total of 334.9 million smartphones worldwide in the first quarter of 2016, up slightly from the 334.3 million units in the first quarter of 2015, and marking the smallest year-over-year growth on record, according to the report. 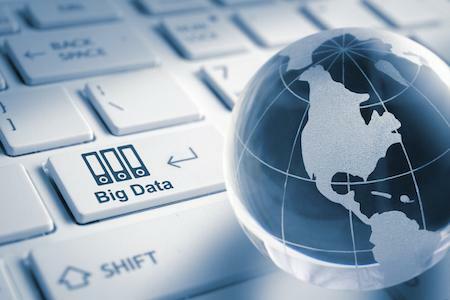 Google acquires another machine learning startup, predictive analytics and wearables are driving the continued adoption of electronic health records (EHR), Millennials are believers in the value of data-driven projects, Alteryx has released a new set of capabilities for its analytics platform, and H2O.ai has released an updated API for Apache Spark. Let’s start with Alteryx. The self-service data analytics company has added a new set of enhancements to the Alteryx Analytics platform. Among them is the ability to create models that progress from descriptive to predictive to prescriptive analytics. Alteryx said that this lets users evaluate possible alternatives and predict outcomes through simulation analysis. Other new capabilities include predictive modeling support for users working inside Teradata data warehouses with in-database analytics. Alteryx said that the parallel processing power of Apache Spark can now be leveraged to speed the blending of large datasets within in-database blending for Spark distributor Databricks. Alteryx is also offering a new Predictive Analytics Starter Kit that gives users an interactive, guided introduction to predictive modeling techniques, including A/B testing, linear regression and logistic regression. Finally, Alteryx said the new capabilities include greater scalability for self-service across an organization with Alteryx Server, which also leverages configuration management and an automation toolset with sample deployment scripts. Meanwhile, H2O.ai unveiled the newest version of its API for Apache Spark. H2O.ai, which calls itself “the company bringing AI to business," said that Sparkling Water 2.0 adds new features and functionality. These include: the ability to interface with Apache Spark, Scala, and MLib via H2O.ai’s Flow UI; the ability to build ensembles using algorithms from both H2O and MLib; and the ability to give Spark users access to H2O’s visual intelligence capabilities. “Enterprises are looking to take advantage of a variety of machine learning algorithms to address an increasingly complex set of use cases when determining how to best serve their customers," said Matt Aslett, Research Director, Data Platforms and Analytics at 451 Research, in a prepared statement. “Sparkling Water is likely to be attractive to H2O and Spark users alike, enabling them to mix and match algorithms as required." Tech giant Google this week acquired yet another machine learning startup. This one is called MoodStocks and the Paris-based company has been working on visual recognition machine learning to enable object recognition specifically. In a blog post announcing the deal Google said that it has made great strides in visual recognition technology, but there’s still a lot of work ahead. The acquisition, which brings Moodstock’s engineers onboard with Google, will help accelerate the effort. Electronic health records have been around for a few years now, but market research firm Technavio has released a new forecast that says adoption will continue to grow, driven by new technologies such as wearables and predictive analytics. Wearables and medical devices will enable medical monitoring of key metrics like patients’ blood glucose levels and blood pressure. And predictive analytics leveraging data from EHRs will help doctors identify patients at risk for certain conditions or complications before they do major damage. Healthcare providers have been investing in electronic health record (EHR) technology over the past several years, and the trend shows no sign of letting up. That’s according to a new report from market research firm Technavio that looked at the size of the market, its expected growth, and the trends that will impact it over the next several years. The research firm is forecasting the global EHR market to grow at a compound annual growth rate (CAGR) of more than 5%, exceeding $28 billion by 2020. 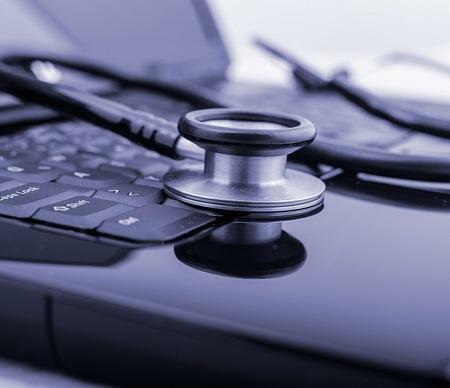 “There is greater adoption of EHR in developed economies as compared to developing economies owing to the IT budget constraints in developing countries," lead analyst Amit Sharma, wrote in a July 4 statement. “The adoption of EHR systems in the European healthcare IT market is increasing at an exponential rate so as to increase the quality of patient care." Technavio identified three big trends that are impacting the market and driving the growth of EHR. The first is the increased adoption of predictive analytics. The research firm noted that predictive analytics integrated with EHR technology has led to emerging research opportunities. For instance, one use-case is for medical teams to use predictive modeling technology integrated with cloud-based EHR solutions to monitor the spread of the flu in real-time and predict where the virus will spread next. In another implementation, the University of Colorado Health has implemented predictive analytics in EHR systems to increase the efficiency of operating rooms. Wearables and other health and fitness devices used by patients represent another area of growth for EHR and healthcare applications. Indeed, healthcare CIOs interviewed by InformationWeek have also said that data collection by fitness and other healthcare devices is a significant emerging trend for IT healthcare. Connecting these devices with patient electronic health records could allow doctors and other medical providers to access health data including heart rate, glucose level, and cholesterol levels. Using the information gathered, doctors will have the most recent and relevant information about the patient in order to prepare electronic prescriptions based on the information gathered. Technavio noted that Apple, Google, and Samsung have all created their own health and fitness applications and devices. Apple, working as a third-party app developer in partnership with Nike, has developed the cloud-based platform called HealthKit to store an individual’s health information metrics such as blood pressure, heart rate, and weight. Apple has also partnered with the Mayo Clinic and other hospitals to access patient health information. Another big trend driving continued investment in EHR is the integration of these health records with telemedicine efforts. Technavio said that telemedicine-based technologies provide a framework for performing remote monitoring, again via sensors for detection of blood glucose, blood pressure, heart rates, and other data. Uber soon will know the answer to a question raised by bumper-stickers on many vehicles traveling America’s highways: “How am I driving?" 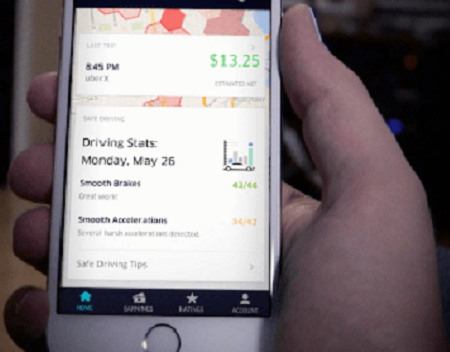 In a forthcoming update to the app used by Uber drivers, the transportation platform company has implemented safety telematics that measure the braking, acceleration, and speed of the vehicles used by its drivers. The update also adds notifications designed to promote better driving, like reminders to take breaks and to mount the phone used for the driver app on the dashboard rather than keeping it in-hand. It adds daily driving reports that compare driving patterns to those of other drivers. The update coincides with the approach of the Fourth of July in the US, a holiday consistently marred by driving fatalities. Uber says its driver app improvements can help reduce driving risks. “Today too many people are hurt or killed on the roads," wrote Uber chief security officer Joe Sullivan and MADD national president Colleen Sheehey-Church in a blog post on Wednesday. “While alcohol is the leading cause of traffic crashes, there are other behaviors that can put people at risk — for instance if drivers are on drugs, haven’t gotten enough sleep or are distracted." Data can help Uber drivers operate more safely. But it also helps Uber defend itself against competitors that would see the company hobbled by regulation, and against critics who claim the company’s business practices are unsafe. To counter its detractors, the company published data showing a correlation between declining DUI arrests and Uber usage. The Atlanta police department, the company said, reports that arrests for drunk driving fell from 2,243 to 1,535 between January 1, 2010 and January 1, 2016 — a 32% decline. During that period, Uber pickups surged, suggesting a possible correlation. 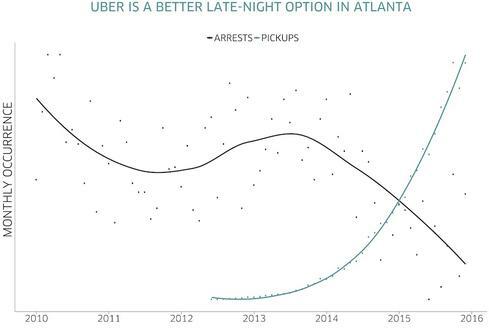 Uber is careful to avoid claiming credit for the DUI arrest decline, because correlation is not causation. But Sullivan and Sheehey-Church said in their blog post that Uber riders see a link between the service and reduced drunk driving. Certainly there’s some interaction there. With the addition of telematic data about driver behavior, Uber should be able to make an even stronger case about safety of its service, particularly compared to other transportation options that may not have drivers under comparable surveillance. Access to a broader set of data about how its drivers actually drive will allow the company to identify risky drivers and to correlate rider complaints with real measurements of vehicle braking, acceleration, and speed. Uber began tracking driver behavior in Houston last November, according to The Wall Street Journal. The company says it plans to introduce the new telematics features in its driver app in 11 cities over the next few weeks. It is, however, not the first business to collect information about its drivers. Fleet management companies have been collecting telematic data for years. More recently, insurance companies like Allstate have begun offering a rate discount for drivers who accept telematic monitoring. In the years ahead, such technological oversight is likely to become difficult to avoid, because theoretical privacy risks will have trouble competing with the prospect of saved lives. Studies indicate that telematics lead to better driving. The SAMOVAR research program conducted in Europe, for example, found that simply recording vehicle data led to a 28.1% decrease in the accident rate over a 12-month period, a result attributed to driver awareness that behavior can be checked. There’s a potential downside for Uber, however. By amplifying its capacity for driver oversight, Uber runs the risk of making its contract drivers look like employees to government regulators. Uber recently settled a challenge to its classification of drivers as independent contractors, thereby avoiding a judicial ruling on the issue. But that does not preclude future litigation, and being able to exercise control over how work is done — how drivers drive — is one of the factors the IRS considers when evaluating whether a worker is an employee or an independent contractor. Apple’s iOS 10 is slated for its public beta release in July, bringing expanded capabilities for its popular voice-recognition digital assistant Siri. Developers can now use SiriKit to build messaging, phone calls, photo search, ride booking, personal payments, or workout apps that allow users to interact directly with those apps using just their voice via Siri. The software development kit (SDK) can also be used by automakers who want to let Siri control Apple’s CarPlay apps. “iOS 10 adds Siri intelligence into QuickType and Photos, automates your home with the new Home app and opens up Siri, Maps, Phone and Messages to developers — while increasing security and privacy with powerful technologies like Differential Privacy," Craig Federighi, Apple’s senior vice president of software engineering, said in a statement at Apple’s Worldwide Developers Conference (WWDC). Developers who dive into the SDK will find that Siri’s API will only work in the six categories of uses from messaging to photo search. But Apple may expand those categories over time. That is apparently the hope of users too, based on comments on the 9to5Mac site. “I’m very disappointed by this SDK. What, did they pick the six least used cases and enable those? I’m sorry, but this is not going to cut it against Alexa and Google Now in this day and age; way too little, too late," Warpedgeoid wrote in the site’s comments section. Responding to that comment, John wrote in the comments section, “I agree with you, they better get a move on with this SDK and opening its uses to more categories of applications. I was really hoping for Siri to be integrated with other music apps on my phone — similar to how the apple tv can search multiple tv/movie services for content — but of course they have their own music service so why would they make it easier for you to use something like spotify or google play." According to 9to5Mac, iOS 10 will have Siri handle the issues of voice recognition and of determining users’ intent, then deciding whether it can take care of a user’s request, or if it should be handed off to a third-party-developer app. Also, developers will only have access to the particular data that is relevant to their app. Users will be able to do certain things, like calling on Siri to order a ride from Lyft or Uber, or to activate Facebook Messenger and WeChat. 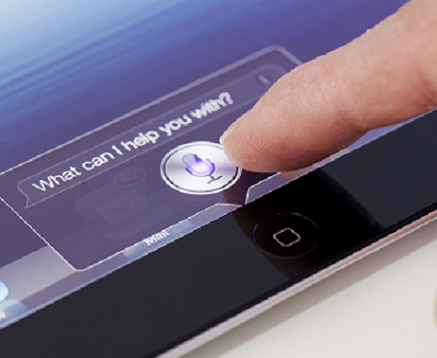 Third-party developer access to Siri is one of the latest changes Apple has added to Siri’s capabilities. Apple also recently brought Siri to the Mac desktop. Whether these moves with Siri will help Apple reverse its first decline in iPhone sales since the smartphone’s launch has yet to be seen, but such steps are unlikely to hurt. Obscura Camera, the acclaimed camera app developed by Agile creator Ben McCarthy, has just been updated to version 2.0, about five months after its launch on iOS. Obscura 2.0 sees the addition of a couple of notable features and the introduction of a new pricing model. First and foremost, Obscura 2.0 brings an edit extension that lets you apply Obscura’s 23 “gorgeous (or ridiculous)” filters on your camera roll photos right within the Photos app — no need to open the Obscura app itself. To enable Obscura’s Photos edit extension, open the Photos app, tap Edit, tap the ellipsis button, tap the More button, and turn on the switch for Obscura in the Photo Editors list. Thereafter, just tap the Obscura button after tapping the ellipsis button, swipe sideways to switch between Obscura’s filters, and tap Done once you’re satisfied with the applied filter. Obscura 2.0 also lets you easily select and share photos in its built-in photo browser, which is accessible by swiping the controls to the right. Now, after selecting a photo, you can swipe sideways to view adjacent photos. And access to sharing controls is now more obvious with the share button, although you can also press and hold on a photo in the browser to bring the iOS share sheet. As mentioned, Obscura 2.0 also introduces a new pricing model. Previously, Obscura was available as a free download, with in-app purchases for optional developer tips valued at $1.99 and $4.99 that unlock additional filters. Now, Obscura is available as a paid download worth $4.99, with all filters already unlocked for free. If, like me, you downloaded Obscura before this change, don’t worry. All Obscura filters are made available free of charge as part of the app’s 2.0 update. Obscura 2.0 also includes various performance enhancements. Hailed as an AppAdvice Editor’s Choice for the week of its launch last summer, Obscura has just become an even greater alternative to the built-in Camera app on iPhone or iPod touch. Since the very beginning, it has offered a camera app with a simple interface and thumb-friendly controls (especially for users of large iPhones). Get Obscura Camera now as a free update or as a new $4.99 download. Last updated by horkykwok at 2017-06-21 .